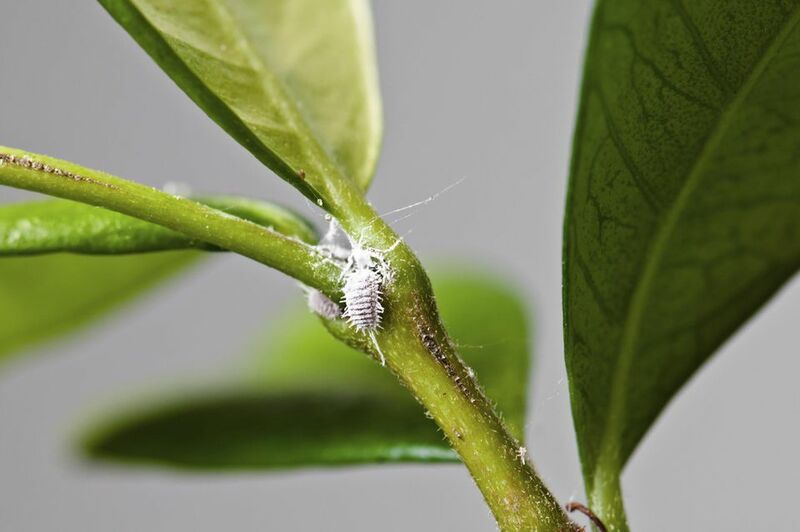 Citrus mealybugs, first identified in the U.S. in 1879 can infest and destroy greenhouse and outdoor crops of plant hosts such as Tulips, Cannas, Begonias, Narcissus and Coleus. Host plants may be dropping leaves, have distorted growth or areas of mold and waxy cottony secretions. Although they are tiny, less than 5 mm long (25.4 mm per inch), wingless female mealybugs with peripheral body filaments or winged males with tail filaments may be lurking and munching in plant crevices, looking as if they had been rolled in flour and ready to be tossed into a micro-sized frying pan. A first and final defense is to destroy the infested plants as mealybug infestations can be fatal to the host plant if left untreated. A second and less radical approach is to employ beneficial insects, such as Mealybug Destroyer beetles which feed voraciously on the pests and can be purchased from commercial suppliers. Note: Like the pest insect, these beetles do not survive cold weather so they must either be released into greenhouses, outdoors in temperate climates or outdoors during warm seasons in colder climes. In addition, birds will prey on the beetles outdoors. Also, spreading bone meal at the base of any plants or wrapping the trunk in cloth may discourage ants from visiting and spreading the tenacious pests. Other botanical derivatives such as Rotenone and Pyrethrum have been effective in some applications and controls that work in one location may not work in another, so ask other local organic gardeners or the county extension service for suggestions.